Do you ever get to the middle of the week and all you can do is think about the weekend? Yeah us too.....so, as we're an impatient bunch, we've decided to bring a touch of the weekend to Wednesday nights! 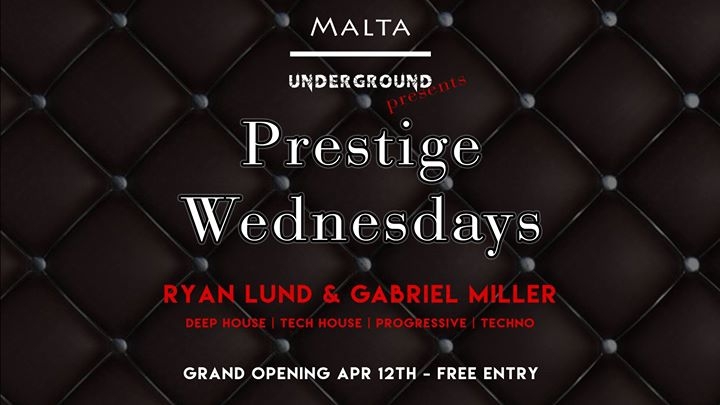 Every Wednesday, DJs Ryan Lund & Gabriel Miller will be taking you on a journey through underground music ranging from chilled deep house up to the darkest techno; all in the comfortable surroundings of the newly re-opened Prestige Club. To quench that midweek thirst, cocktails are buy one get one free or 3 for €10 all night.....and if you're feeling especially thirsty, there's also buy one get one free on bottles between 20:00 and 23:00! Our grand opening is the 12th of April, entrance is free and we'll be there until the last person stops dancing!